Have you been doing deep tissue massage? If yes maybe you have heard about several things which have become part of the belief system of the many therapists. Although some of these myths are very common maybe you have never had about them before. More so some of them are funny especially if you are hearing them for the first time. For instance, if ask around, many patients will prefer a deep tissue massage because it is the best but is this the case? Here are the top 7 deep tissue massage debunked. · If it is not painful or doesn’t hurt it is not deep tissue; you may believe that more pressure means more massaging. This means that you must apply the pressure to the extent that the body winces. But think about it, if someone steps on you or closed the door on your hand the immediate response will be telling your body that there is danger hence, you will pull away. At this time your body will be waiting for the next time it will experience pain. This will actually make you tense and anxious. As a matter of fact, deep tissue does not mean that you must apply a lot of pain. It just refers to working in the inner layers of your muscles hence no pain no massaging is just a myth. · Deep tissue massaging should hurt for 3 to 4 days; you may complain about the pain you receive 3 to 4 days after massaging but this does not mean that you have gotten the best deep tissue massage. The pain should not last for that long and if it does then it was not a deep tissue massage. Although there are techniques that should cause pain, the pain should last for more than 3 days. As with the pain happening after a deep tissue massage it depends on the patient who is taking the massage. In fact, if you want to help your body heals after a deep tissue massaging eat enough nutrients, take plenty of water and rest. Any successful massaging will work towards decreasing your pain and discomfort after the session and not otherwise. · Deep tissue massaging must take one hour; although many people would like to book an appointment for 1 hour, deep tissue massaging should not take one hour unless you know what you want to focus on. Ideally, an hour of deep tissue massage should never occur. This kind of massaging requires warming up the tissues first through sweetish techniques. This means it is a slow process. If the massage is rushed you will probably not enjoy the process that much. This is because the therapist will rush to stretch the tissue muscles but lack enough time to warm them up. The minimum suggested time for deep tissue massage is 90 minutes. If you do this for only an hour not every part of the body will receive a deep tissue massaging attention. 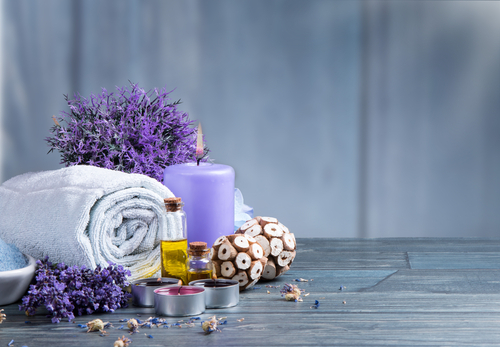 · Massaging removes toxins from the muscles; first, the word toxin is always misused to mean anything bad found in the body. No matter the meaning of the word no kind of massaging can be used to remove toxins from the body. There is no way that massaging can pump or push bad stuff out your body. This can only be done by the semi-permeable membranes of the cell. If you over push deep and hard thinking that this can squeeze out the toxins you might end up breaking some of the fragile capillaries and the cell membranes. · You must drink water after the session; remember, even if you take a lot of water after the session you will just get rid of the excess. The body has a special way of balancing the fluids found in it. You only need to take enough water per day so that you are not dehydrated but not because you have undergone a deep tissue massage. Although it should be 8 glasses of water, for some it can be more or less. 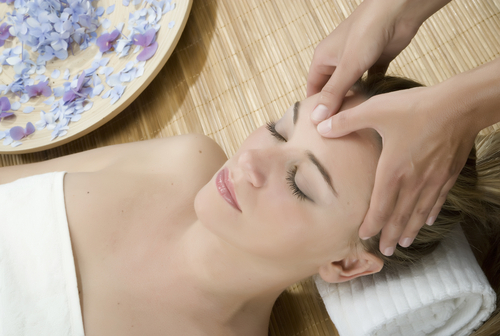 If you have toxins in your blood stream, drinking more water after the massage will not get rid of them. Typically, your body is not full of sludge that drinking more water will help remove. It is ideal to take some water after the exercise but you should not encourage false beliefs that it must be done so as remove toxins. · You cannot massage an individual with high blood pressure; some people believe that if you massage a person with high blood pressure you might suffer a heart attack. This is not true. This myth does not define how high blood pressure is connected with deep tissue massage. Before performing the exercise, you must only consider the causes of high blood pressure and the general health of the client. If the person knows how to handle his or her condition with medicine he can actually take deep tissue massage just as anyone else. Typically, blood pressure should not be enough reason not to undertake deep tissue massaging. · You should not massage a pregnant woman; this is wrong since many women do not know that they are pregnant until they reach their third or fourth month. This means by the time they realize they may have undertaken almost 5 to 6 deep tissue massaging. Remember, deep tissue massage is no harder to the body than the normal activities or exercises. Ideally, in case you cannot massage a pregnant woman, it means that they should also stop doing household chores as well. This is not possible since there is no pregnant woman who can just stand still. So why should you skip this very important therapy just because the woman is pregnant? A prenatal deep tissue massaging can benefit a pregnant woman a lot. There has been too much talks about deep tissue massaging. Although some of these are facts, a lot more are just myths. In case you are not sure you need to consult a physiotherapist who will advise you on what to do. Otherwise, deep tissue massage is among the best forms o exercise that you can use to relax your body.